The group can be traced back to 2006 at the Laboratoire d’Informatique Fondamentale de Lille of the University of Lille 1 in France but it became a research group associated to the independent Laboratory for Scientific Research for the Natural and Digital Sciences LABORES in 2012, when the current founding members joined forces to work together. Today the group comprises individuals from several European countries. Members have different backgrounds and strengths that complement each other, from computer science, to mathematics, from mathematical logic to statistics and psychometrics. 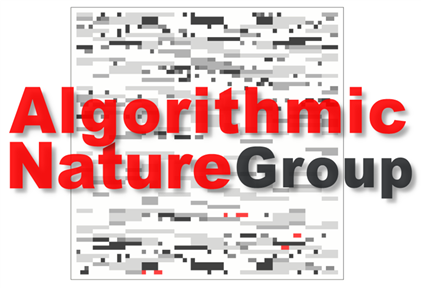 What they have in common is a strong interest in connecting nature and computation through complexity science using tools from algorithmic information theory, mathematical logic and computability theory. The group is a founding member of the UNESCO UniTwin International Complex Systems Digital Campus.